Alana and Grant Williams are proof that when you work with your loved ones, doing what you love, the successes are multiplied. In 2017/2018 they took second place in Western Australian Trainer Premiership as their own. And together they netted a prize purse of more than $3,500,000 and as if that was not enough, their charge Perfect Jewel was crowned the 2017-18 WAROA Amelia Park Three-Year-Old of the Year. This team met on the job through trainer Lindsey Smith - Grant shared a stable with Smith, while Alana rode for him. But it wasn't until 2016 they joined forces in a professional capacity as co-trainers. Team Williams' racing stables are situated in picture perfect Karnup, south of Perth in Western Australia. They have roughly 35 horses in work and enjoy great success including a partnership with well-known breeder, Bob Peters. With state of the art facilities, it's no wonder the Williams/Peters duo make a mark on Perth Racing taking out some of the feature races and present themselves high in the trainer rankings each season. Alana is a former Western Australian champion jockey and rode nearly 500 winners. While she retired nearly a decade ago to start a family, she is still very involved in the industry and has a keen interest in breeding thoroughbreds. 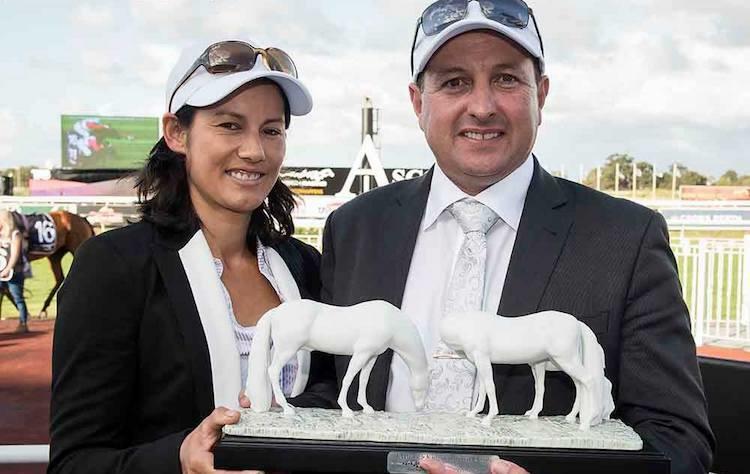 Being married to WA's leading trainer, Grant Williams they can pursue this passion together. Team Williams experienced their first major winner in 2016 with Socially Unique, and more recently State Prosecutor in the WAROA-Belmont Guineas. Last season the Grant and Alana Williams stable trained 92 winners and so far this season has produced multiple winners. The up and coming summer carnival is set to be an exciting one with stable stars Stageman and Galaxy Star preparing to hit the track. "Without her I wouldn't have done what I have." "Now she gets recognised for the work she puts in." miStable wishes Grant and Alana all the best on their awe-inspiring career achievements and the ones yet to come.